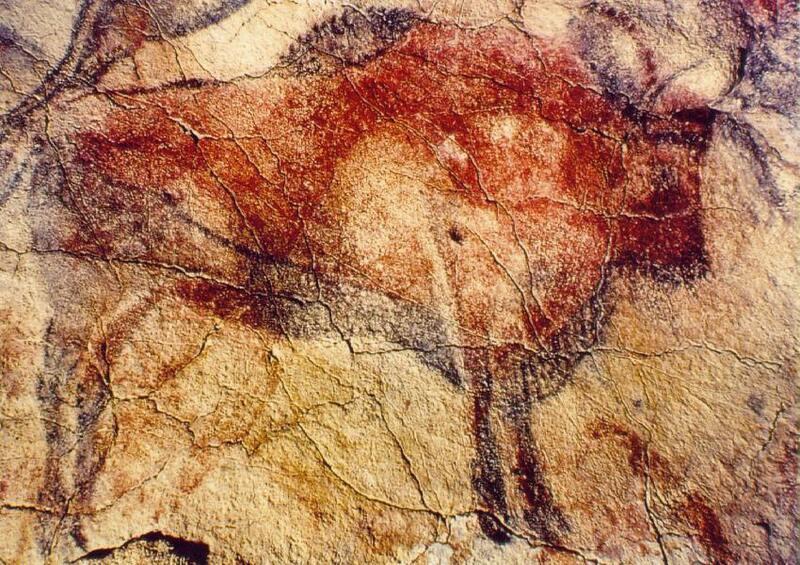 "The desire to make images move, the need to capture movement, seems to be with us 30,000 years ago in the cave paintings at Chauvet – as you can see it here, in this image the bison appears to have multiple sets of legs. Maybe that was the artist’s way of creating the impression of movement. I think this need to recreate movement is a mystical urge. It’s an attempt to capture the mystery of who and what we are, and then to contemplate that mystery"
Could it be just a matter of coincidence and a shared passion for movies that another legendary film director of his times, from a continent far away in the east, talked with equal gusto, many moons ago, on the nature of movement? "What an extraordinary thrill it must have been to realize that you could move your camera close to an actor and catch a movement of his eyes and convey a shade of feeling which no other actor on the stage could ever hope to convey to his audience...In films you arranged forms in a rectangular space, as you did in painting. This was the exciting discovery - if your objects moved, or your camera moved, or both moved at the same time, you found yourself thinking more of the art of choreography." Fans of Satyajit Ray had to wait for 35 long years to savour another book written elegantly by their beloved auteur in English language on cinema, after his first collection of articles, "Our films. Their films", was published in 1976. 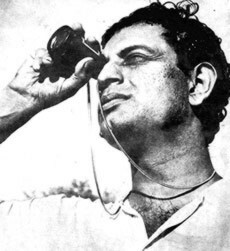 Deep focus - Reflections on cinema is an intense labour of love by the Society for the Preservation of Satyajit Ray Films, replete with rare photographs, sketches and illustrations by Ray himself. "Satyajit Ray had shattered the mould that had bound film makers in India to a form of film-making that had remained unchanged since the introduction of sound. By a strange coincidence, this was also a time of revolutions in the cinemas of Europe: Italian Neo-realism, French Nouvelle Vague, the Free Cinema of Britain, and the post-war films from northern, central and eastern Europe." The book is divided into three parts; the first one focusing on his craft of cinema, the second one on his views of other great directors, and the third one on his memorable experiences in film festivals. "A flair for film language, and a grasp of the film form. This is...quite distinct from the literary expression of the novelist, or the dramatic expression of the playwright. It is true that the film partakes both of the novel and the play. Like a novel, it describes people, place and events and is free to move about in time and space; like a play, it deals with conflict. But, nevertheless, the purer the film language, the more independent it is of the novel and the theater "
"to find out ways of investing a story with organic cohesion, and filling it with detailed and truthful observation of human behavior and relationships in a human milieu and a given set of events, avoiding stereotypes and stock situations, and sustaining interest visually, aurally, and emotionally by a judicious use of the human and technical resources at one's disposal." In the latter part of the book, he shares his highly opinionated, yet elegantly articulated views on French films, British films, American films, the era of silent films and legendary director of his times. "I DON'T LIKE Godard' is a statement one frequently hears at Film festivals. Now, I don't like Godard too. But then,'like' is a word I seldom use to describe my feeling about truly modern artists. Do we really like Pablo Picasso, or Claude-Michel Schonberg, or Eugene Ionesco, or Alain Robbe-Grillet?..Up till now, a director's hallmark was supposed to reside in his personal approach to his theme. One looked for the special signature of an artist. If Godard has a hallmark, it is in repeated references to other directors, other films ( both good and bad), other forms of art, and to a myriad phenomena of contemporary life. These references do not congeal into a single significant attitude, but merely reflect the alertness of Godard's mind, and the range and variety of his interests." "who know their jobs, love the medium for its own sake, who are able to resist the temptations of big money and quick success, who have something to say about their own country and their own generation - something that arises out of a feeling of being rooted here, and who -however much they have absorbed the Bressons and Godards and Antonionis - are yet aware that they have to communicate not with the Frenchmen and Italians, but with their own countrymen." Today, in 2013, as we witness the strong resurgence of parallel cinema in India, operating successfully within the limitations of the multiplex box-office economics, I am sure he would be mighty proud to see his vision coming true. Nice post Venki! As title of the post mentions Ray's name and the first paragraph talks about painting of Bison by artists centuries back, I was thinking that you will refer scene from Ray's last film Agantuk (The Stranger) where the main protagonist talks about cave painting - a running Bison! Anyway that is not actually relevant to your post's theme. I am just mentioning you a trivia.